HAVE YOU EVER WANTED TO GO BACK IN TIME? RIDE IN A BRIGHT ORANGE CONVERTIBLE FROM THE 1960S? DANCE THE NIGHT AWAY TO SALSA MUSIC WHILE SIPPING MOJITOS? Cuba is the place for you. It was only recently that traveling to Cuba became an option for me. In the early 60s, the US imposed an embargo on Cuba that restricted US citizens from traveling to the country. My whole life I knew very little about this Caribbean island located just about 300 miles off the coast of Miami, Florida. In 2015 when Airbnb launched in Cuba, it immediately jumped to the top of my bucket list and I was finally able to visit this past December. Cuba was unlike any place I have been before, and there are so many things I wish I knew before arriving. In this post, I’m sharing with you the Do's and Don’ts of Havana, Cuba from personal experience. 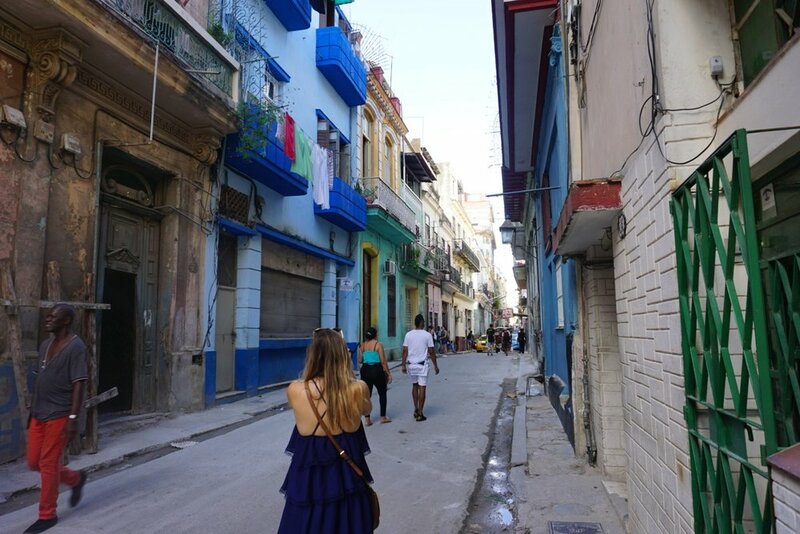 My hope is that this list of tips is easily digestible and helps you prepare for your own adventure in Cuba. 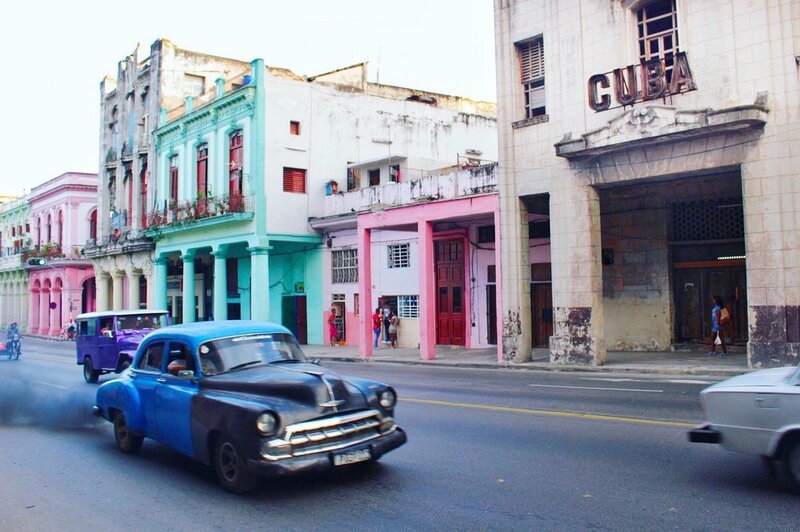 For a full Havana itinerary, check it out here! Most importantly, go to Cuba without expectations. Let yourself explore with an open mind and know that there will be challenges to overcome. Life in Cuba is very different than what you’re most likely used to, and the best way to understand it is to live it. That’s what makes this place so very special. You DO still need a visa to travel to Cuba as a US citizen. There are 12 reasons you are eligible to travel to Cuba, with the most common being the educational visa. As long as you have an itinerary that includes people to people interaction where you have an opportunity to learn about Cuba and its culture, you’ll be approved for travel. When I went through immigration, no one asked me why I was going and everyone I've talked to has said the same. A visa from the United States costs $50 at the airport. Update: I've been receiving a lot of emails asking for advice on how to obtain a visa to Cuba. Thank you for reading this post and reaching out! I am not a visa expert and therefore can only share what I know or have heard from friends traveling to Cuba. There is not a tourist visa to Cuba, but if you create an itinerary that involves people to people interaction, you should qualify for a people to people educational visa. 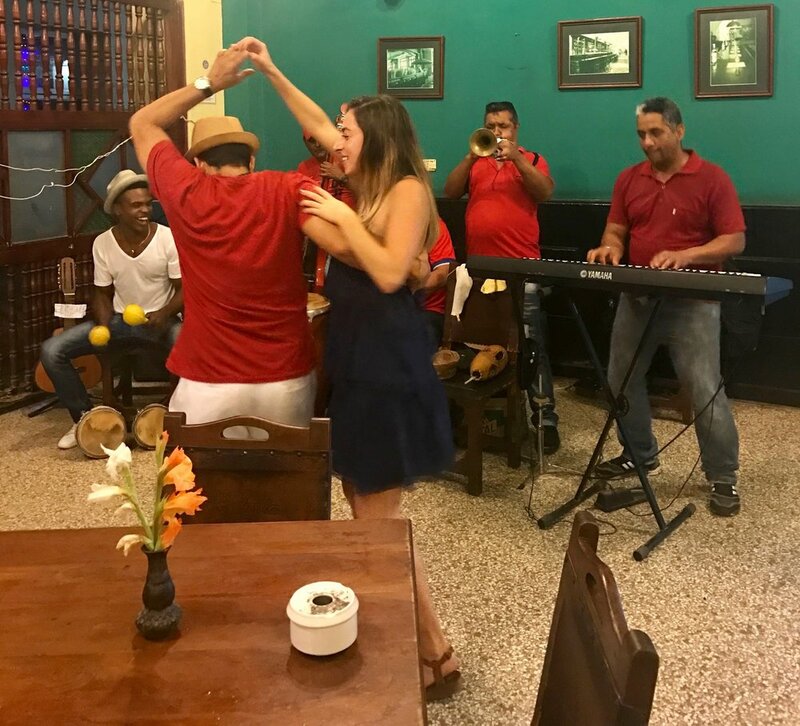 I recommend putting together your own detailed itinerary that includes where you will stay, what you will do and how you will interact with Cuban people. Staying in a casa particular or Airbnb is one great way to ensure interaction with locals. Airbnb has also recently launched Trip Experiences that allow you to book local tours! If you want to get your visa at the airport, I recommend calling the airline you plan to book with ahead of time to ask about their process. You can also apply for a visa on travel service websites such as Cuba Travel Services which costs $85. DON'T think you have to fly in and out of Mexico or Canada. Many airlines now fly straight from the United States! Views from above as we descended onto the island. DO stay in a casa particular or Airbnb. Hotels are government owned, extremely expensive, and often a bad experience. Both Habana Vieja (Old Havana) and Vedado are great places to stay in Havana. You may still want to stop by a hotel to visit their tourism desk. All of the hotels we stopped at were more than willing to help us even though we were not guests. The tourist desk at Hotel Saratoga was especially helpful. Even if you don't stay in a hotel, you can still take advantage of their facilities. Find this diving board at the Hotel Riviera, which hasn't been updated since the 1950s! DON'T bring US Dollars to Cuba. Exchange them for Euros, Canadian dollars, or Pesos before you arrive. There are two types of currencies in Cuba, the CUC and the CUP. One CUC is about equal to 1 USD and is the primary currency for tourism. The CUP is used mostly within the local community, and is equal to about 4 US cents. Make sure any change given to you says “convertibles” on the bill so you can ensure it’s the CUC and not the CUP. DO bring enough cash for your whole trip. US credit cards and ATMs still don’t work in Cuba. I recommend calculating what you think you’ll need and doubling that. If you aren’t sure, plan on about $100 a day to be safe. You can exchange money at the airport when you arrive, as well as the banks in town. There is a bank on Obispo Street in Old Havana that has the best rates and always has a line outside. Stay away from exchanging at the hotels, as they always have the highest rates. I loved taking pictures on the streets of Havana. The locals are a huge part of what makes this city so unique. DON'T check a bag on the way to Cuba. It can take hours to get them off the plane. Even if you really want to bring that extra pair of shoes, it’s just not worth spending three hours in an airport when you have an incredible city to explore. DO print out two copies of any confirmed plans you make. This can include flights, itineraries, Airbnb receipts, etc. I always bring a photocopy of my passport as well. 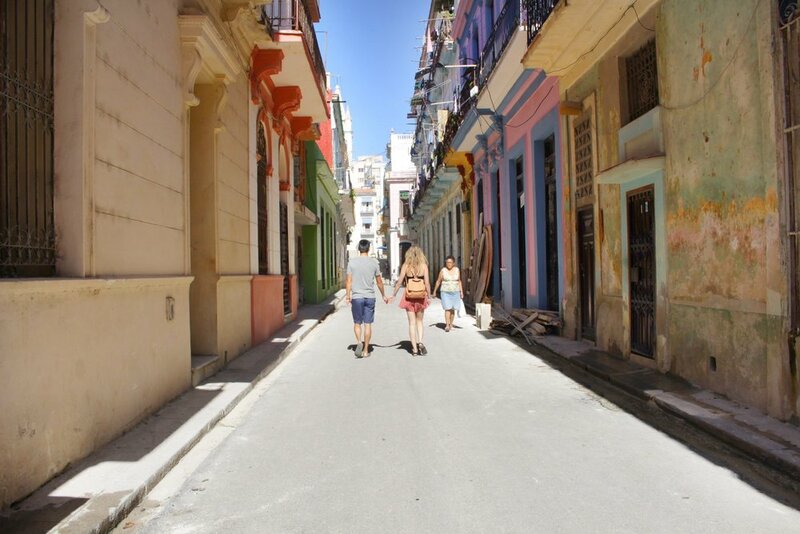 Fall in love with Cuba. Whether you go solo, with friends or a partner, you're sure to have an incredible time. DON'T expect to be able to access the internet. There are wifi parks throughout Havana but service is often spotty. No private residences have wifi but some of the hotels do. I recommend downloading the maps.me app before you arrive. It'll give you access to an offline map of Havana! Locals in the wifi park. It costs about 3-4 CUCs per hour for internet access. DO plan ahead to have a car pick you up at the airport. Most Airbnbs and Casas Particulares are happy to set you up with a driver. The standard rate from the airport to Havana is 25 CUCs. DON'T get into any taxis without negotiating the fare first. Taxis will most likely be your main transportation around the city, outside of walking. Always confirm a price before you jump in. We tried to convince the driver of this car to take us all the way to Viñales. He said no. DO brush up on basic Spanish so you can communicate more effectively with locals. Not many people speak English outside of the tourist areas. The locals in Cuba are so warm and welcoming. You’ll enjoy your experience more if you can engage with them. DON'T drink the water. Also be aware of ice cubes at restaurants. If you can't guarantee that water is filtered or from a bottle, don't drink it. Update: I recently discovered this Lifestraw product that acts as a personal water filter. I wish I had this while I was in Cuba! This is Mojito, and this was my first time on a horse. I was scared. DO take a few days from Havana and visit Viñales. 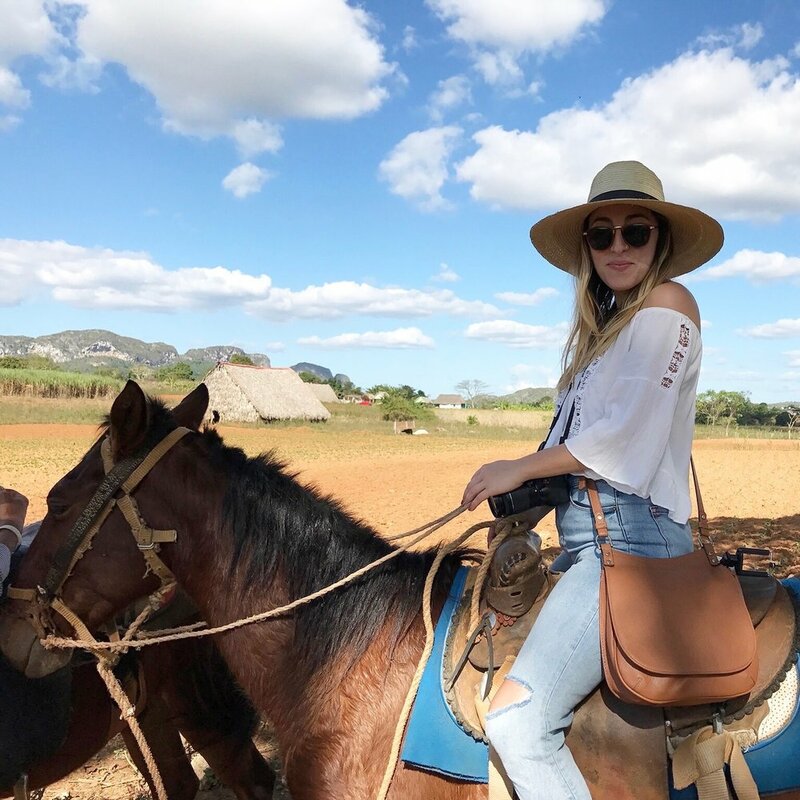 Ride horses through the tobacco fields, take a beach day at Cayo Jutias, and drink mojitos in a rocking chair as the sun sets. You can get there by bus (14 CUC) or book a collectivo, aka a shared taxi (about 20 CUC per person). Stop by the tourist desk at any hotel and they can book either for you. Cayo Jutias is about an hour drive from Viñales. You can take a collectivo taxi for 20 CUC round trip. 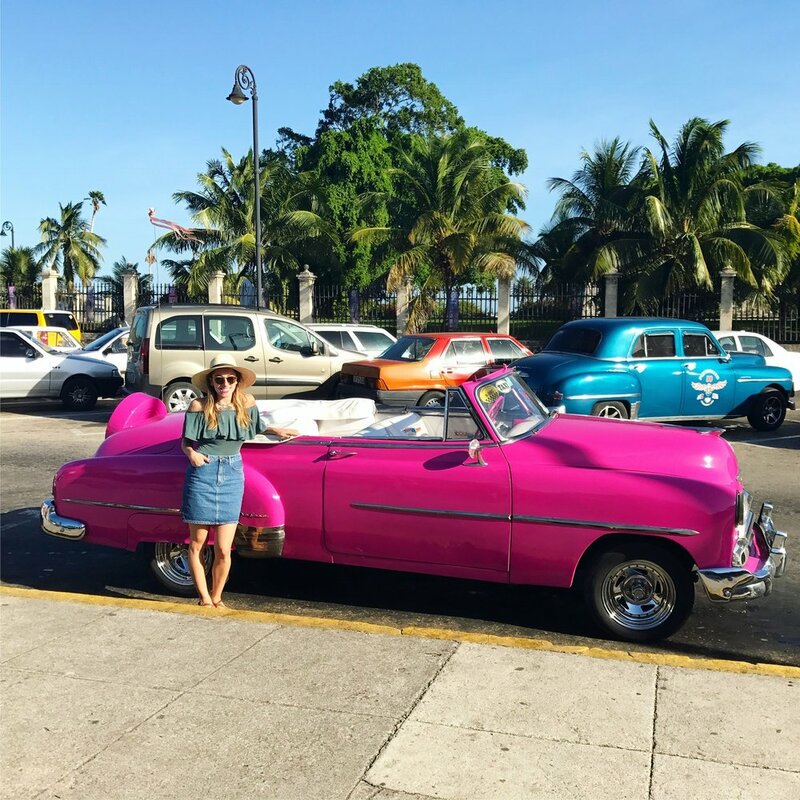 DON'T miss out on riding in an old american car down the Malecón, the long stretch of road along the coast of Havana Harbor. They charge about 30-35 CUC per hour, but we talked one guy down to 18 CUC. Even if you pay full price, it’s worth it. Our orange convertible ride down the Malecón was cut short when it broke down. So we snapped some pics and started walking. 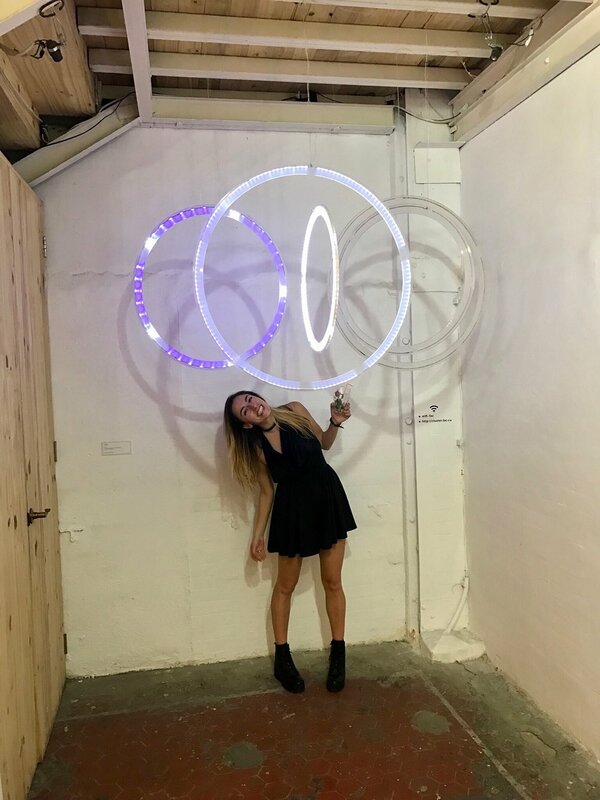 DO go to Fabrica de Arte Cubano to dance the night away and drink mojitos. Imagine clubbing in a modern art museum. It’s absolutely fabulous. New Year's Eve 2016 at Fabrica de Arte Cubano. DON'T worry if you can’t dance. There are locals at every bar that want to teach you salsa steps. Just go with it. I'm literally the worst dancer ever, but this was fun. DO watch the sunset from the seawall of the Malecón. DON'T snap a picture when someone offers to let you, unless you plan on paying them after. This woman told me to take a picture of her with her street portrait. After, she told me to pay her 1 CUC. Hey, it's a pretty cool pic! DO stop by El Floridita and try their famous Daquiri. This bar was the local favorite of Ernest Hemingway during the 1930s. You can find El Floridita on the main drag in Habana Vieja. DO get to the airport at least 3 hours before your flight out. I thought it was crazy when my Airbnb host told me this, but lines are long and inefficient. You will miss your flight if you don’t leave enough time. Cuba was one of my favorite trips of all time, but you have to be flexible and go with the flow. The beauty of this country lives in the people, the culture, the history, and the unknown adventures you're bound to have there. Here you can find share specific itineraries for both Havana and Viñales. In the meantime, feel free to email us at am@twobluepassports.com if we can answer any other questions to help you plan your own visit to Cuba.